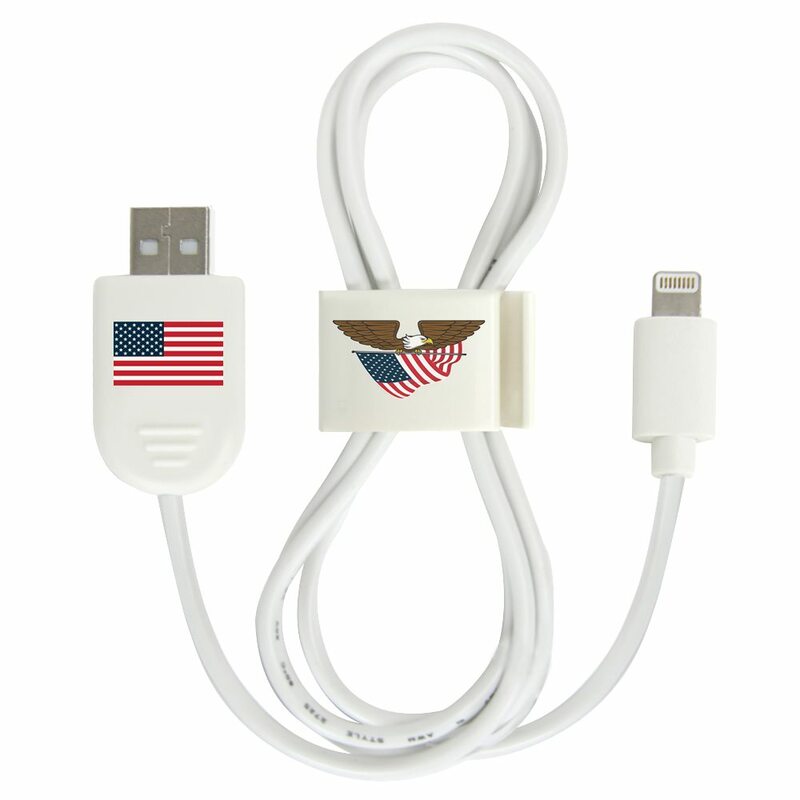 Charge your Apple products the patriotic way, with this free gift of a white USA Flag Lightning USB Cable with QuikClip! With a qualifying purchase, you will receive this fabulous free gift. Charge your mobile devices on the go or at home. This gift includes the 1 meter long cable, QuikClip (to prevent tangled cords), and USB to Lightning port. The American Flag and eagle don the imprint areas of this gift, lending a star spangled banner mood while you charge your devices. We hope you enjoy!